Many Indians have been arrested in UK for either overstaying past the expiration of their visas or entering the country illegally. London: Many Indians are among 200 people arrested in a UK-wide operation targeting illegal immigrants living in squalid accommodation between January and June this year, the UK Home Office has said. The operation was part of Operation Magnify, an ongoing cross-government, intelligence-led campaign to stamp out illegal immigrants working in high-risk sectors across the UK. "Many of those arrested were Indian nationals, but there were also people from Pakistan, Afghanistan, China and Albania," the Home Office said in a statement. During the operation in the first half of this year, officers targeted 253 so-called Houses of Multiple Occupancy (HMOs), arrested 200 people for overstaying their visas or entering the UK illegally and handed out financial penalties to 24 landlords. As part of case studies released by the UK Home Office last week, seven Indian men aged between 37 and 56, and a 34-year-old Indian woman were arrested at two addresses in Southall area of west London. Many were found to have overstayed their visa and have voluntarily left the country, while others had entered the UK illegally and efforts are underway to remove them from the country, the Home Office said. 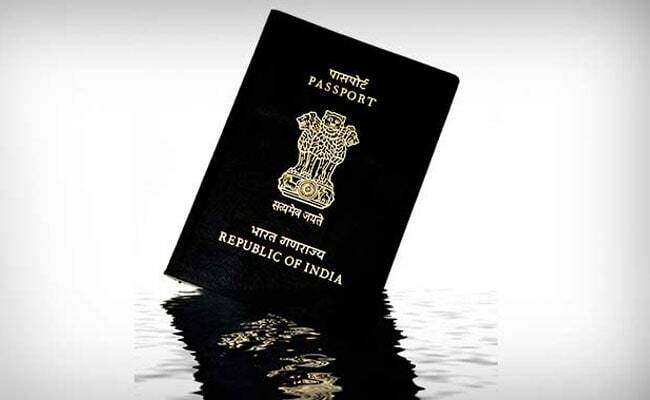 Four other Indian men, aged 28, 30 and two aged 47, found at an accommodation in the city of Leicester were found to have overstayed their visas. The two 47-year-olds were removed from the UK while the 28-year-old left the country voluntarily. Efforts are ongoing to remove the 30-year-old. "These operations show that we will not tolerate people living and working illegally in the UK. Illegal working cheats the taxpayer, has a negative impact on the wages of lawful workers and allows rogue employers to undercut legitimate businesses," UK immigration minister Brandon Lewis said in a statement. "Those who come to the UK to live and work illegally often arrive with a very different expectation to the situation that they then face. The reality is very different and they will often find themselves at the mercy of exploitative employers or landlords. "Those unscrupulous landlords flout the rules by knowingly renting property to illegal migrants as an easy source of profit," he said. As part of the crackdown, referral notices were issued to landlords warning them that they may be liable for financial penalties of up to 3,000 pounds per illegal immigrant found if they cannot provide evidence that appropriate "Right to Rent" document checks were carried out. Those arrested as part of the intelligence-led Operation Magnify are offered support if they choose to leave the country voluntarily, but if they refuse, removal action is taken against them. The UK government has claimed that as many as 1,000 immigrants from India enter the country illegally every year. During the India-UK Home Affairs Dialogue in London last month, Union Home Secretary Rajiv Mehrishi revealed that the issue was among those raised from the UK side. "Approximately, the UK has been able to identify in the region of about 1,000 illegal immigrants from India a year. We made it clear that it is a matter of policy for India that anybody identified as an Indian who is illegally in the UK, we will expedite his or her return," Mr Mehrishi had said after the meeting in July. "The only issue is about cross-checks and time taken because sometimes illegal immigrants, understandably, destroy their documents and therefore identifying them as Indians takes a lot of time," he said. Operation Magnify is the UK government's ongoing initiative supported by agencies such as HM Revenue and Customs, the Health and Safety Executive and the Gangmasters and Labour Abuse Authority, for a combined enforcement approach against exploitative employers who provide low-paid jobs to illegal migrants. Immigration Enforcement officers and police are trained to identify individuals who are subject to exploitation, human trafficking and modern slavery during such raids.